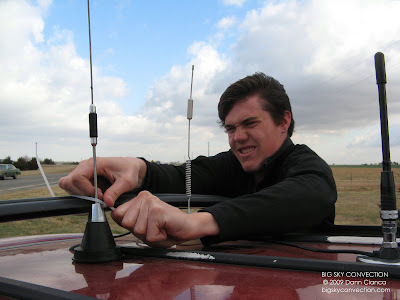 Our trip south to Medicine Lodge, which would be our target, was hampered only by high winds and the occasional renegade antenna, which Michael was repairing in the photo below. 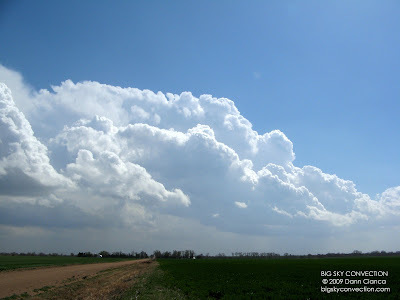 Our next stop was north of Attica where we watched storms begin to fire. (time lapse at 2:59) We stayed here for quite a while, dodging sprinkles and dealing with the insane wind. 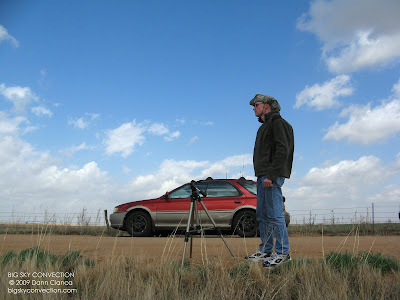 Kendell scans the western horizon. 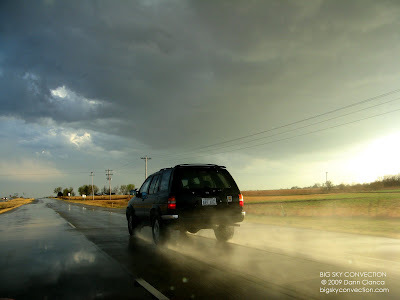 Finally, we crossed the Oklahoma border south of Caldwell, Kansas and we had us a storm. It wasn't even warned at this point (though I'd wager if it were in Colorado, it would already be tornado-warned). We decided to move east and south to get in better position. 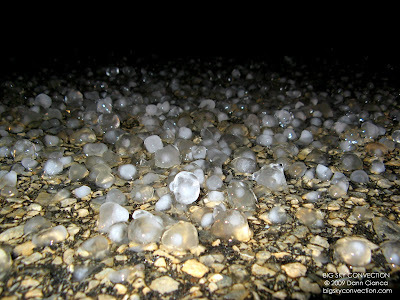 The roads sucked, however, being made out of large, sharp rocks as best I could tell. Finally, we were a good position to observe and saw an amazing sight. (3:27) I was in video mode for the next hour so and didn't get many stills. 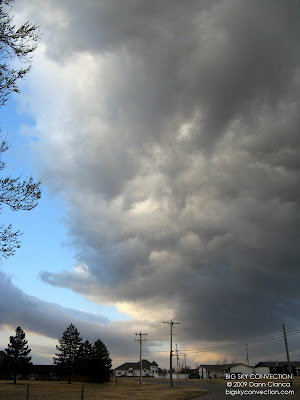 From a distance, they looked like twin funnels, but it is possible that it was just scud. 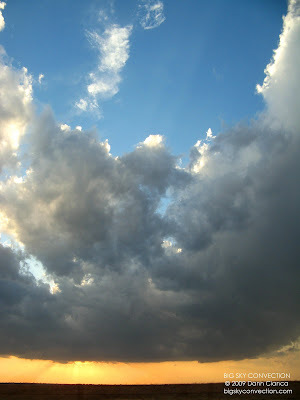 We repositioned again, further south as the storm approached and found ourselves almost directly under the wall cloud. 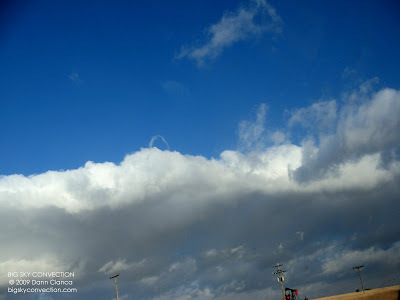 (5:19) The base was pretty high, but there was some wicked rotation to it. Eventually, the RFD bulged out and was saw a nice gustnado. (7:11) I was trying to video this when Michael backed into me with the car. I shouldn't have been standing there! Our train of vehicles (Michael, Kendell & myself; Verne; and The O'Keeffes) departed at this point (suddenly awash in other chasers) and headed straight east to I-35. We turned north to make some time on the storm which seemed to be picking up speed. (7:31). After a brief trip into the edge of the core, we turned east onto US 166 and suddenly found ourselves in perfect position. 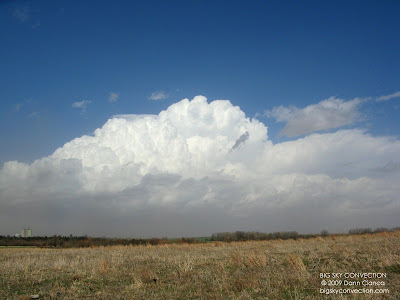 (0:09 - second video) We stopped on a dirt road south of Ashton, Kansas and watched a nice wall cloud form up. (1:04) After sitting there for a while and filming, we continued east. Road options were tough and the storm was moving fast. We missed a paved road that would take us through Geuda Springs and subsequently over the Arkansas River and got stuck with the Arkansas City route. 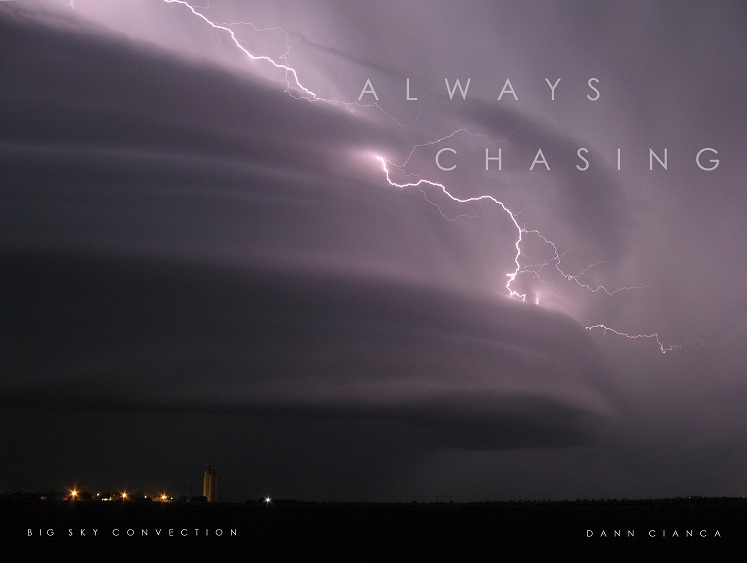 To our north, and incredible wall cloud was rotating rapidly. 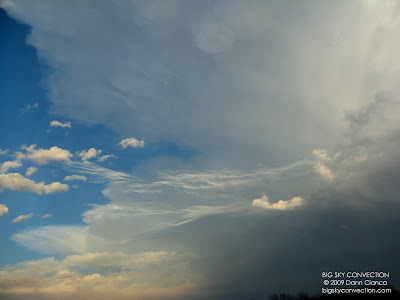 (4:09) At this point, there were tornado reports and the storm was FINALLY tornado-warned. We couldn't see the spin-ups as we had trees in the way, however. We kind of lost it behind the trees and turned north on dirt to get a better view. It was there that we saw a nice cone funnel. But again, we couldn't really see the ground. (4:50). We missed a road due to me not paying attention and the general consensus was to head south and intercept the next storm in line. So, we fueled up in Arkansas City and headed south on US 77. Near the state line, we stopped to look back at the storm we left. It was still looking pretty powerful. 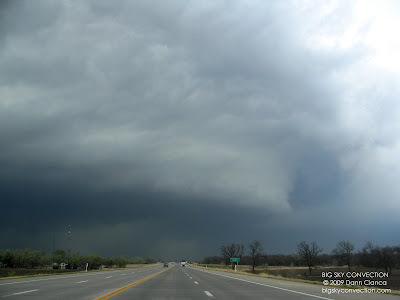 After experiencing the outside of the core, we headed back to US 77 so we could blast south and intercept a newly warned cell southwest of Stillwater, Oklahoma. 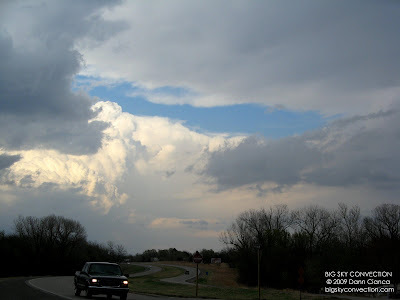 We ran into the O'Keeffes and also experienced a brief hail storm from a developing cell while in Ponca City. 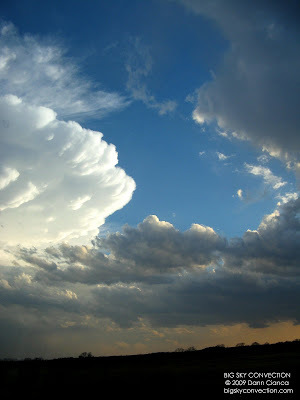 As we continued south, the storm in front of us was absolutely gorgeous in the evening light. 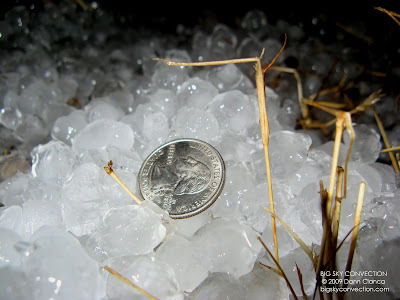 We saw maybe 1.25" max in the core ... less than expected. It was interesting to smell the shredded trees. The odor was very profound. We also saw a burnt-out car on the side of the road that was still smoking. There were emergency vehicles nearby as well. Not sure what happened there! Once out of the core, we continued east and then north again, back into it but only saw rain. 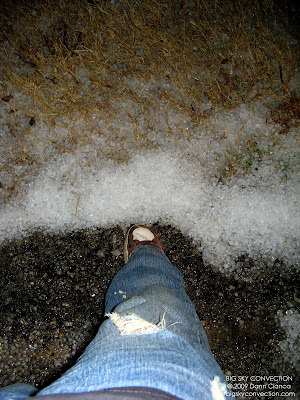 We stopped in the hail swath and goofed around for a while. It was cold when we got there, but the south winds immediately kicked up and it got very warm, very fast. That was kind of cool. 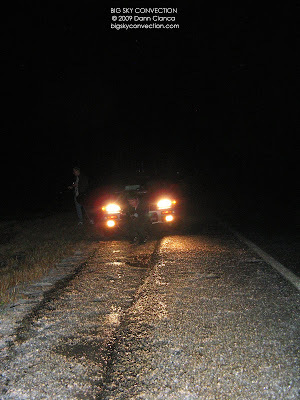 We were pretty tired at that point and the storms seemed to be winding down, so we left and headed back to Russell. 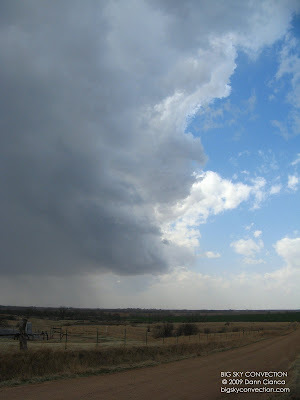 We did get to drive through the squall line induced by the cold front overtaking the dryline north of Wichita. It was brief, but fun. Good Deal, Dann. Nice catch.